In modern times, a large number of websites are being developed on a regular basis. If you’re looking for the best possible way to create websites without writing lengthy code, then the Bootstrap Editor Software is all that you need. Now you can create websites using readymade layouts, styles, icons and other components using these handy software tools. This article describes some of the best bootstrap editor tools used to prototype, build and test websites. Brix.io is Bootstrap editor software which can be used to develop websites or applications. Some of its features include clean HTML5 export, the creation of responsive designs, secure cloud storage, and real-time collaboration. It also provides options to share your work with other developers and learn more about web designing. 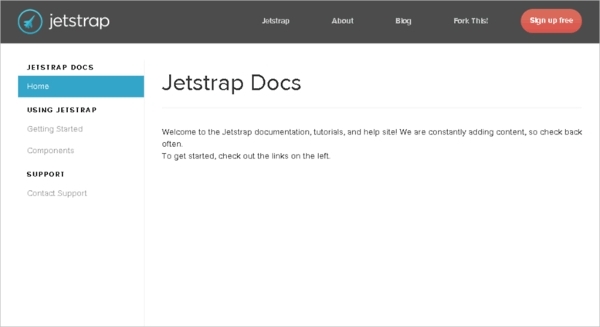 Jetstrap is lightning fast, 100% web based interface design/building tool which helps users to build new prototypes based on twitter Bootstrap. This powerful Bootstrap editor software provides features such as clean HTML export, Drag and Drop button for easy coding and helps you build websites in quick time. Bootstrap editor software applications can help you make new and innovative websites using readymade components and icons. These software tools support different platforms and work fine on all computer systems. Find and install the best software which can help you create cool looking websites. 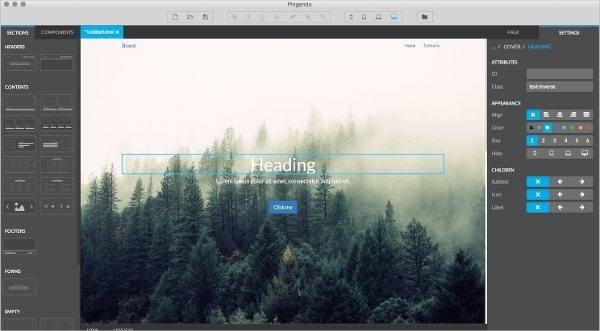 Pinegrow web editor lets you build websites in quick time. It provides options to edit HTML files, speed up web page layout build, perform live editing and allows multi-page editing. This Bootstrap editor software comes with a WordPress theme builder, CSS editor and ready-made website blocks to make life easier for designers and developers. 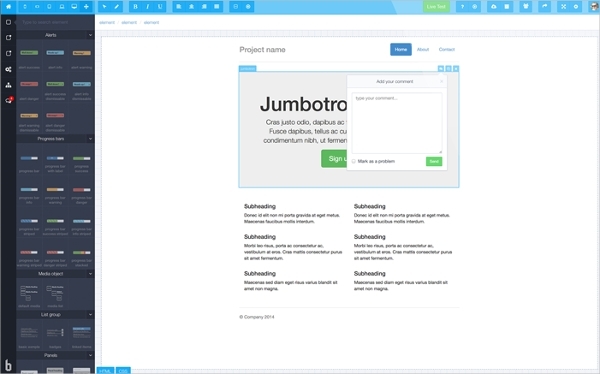 Pingendo is the simplest Bootstrap editor software which can be used for creating high-quality HTML prototypes. This is a quick prototyping tool which helps users to design and code on their own, without the help of an expert. Developers working with Bootstrap can use this application to create CSS and vanilla Bootstrap 4 HTML. 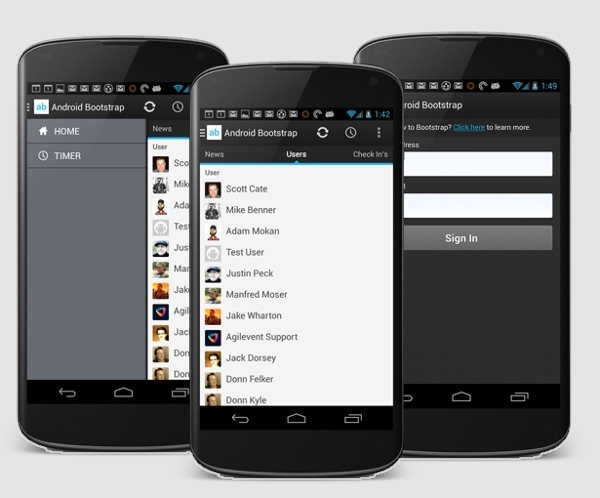 This Bootstrap editor software helps users to build an Android application without consuming much time. Android Bootstrap serves as a library which provides a navigation drawer, fragments, new designs and colourful layouts which look similar to Twitter Bootstrap. Use this library to export files, layouts, Bootstrap style buttons and use them in your Android application. 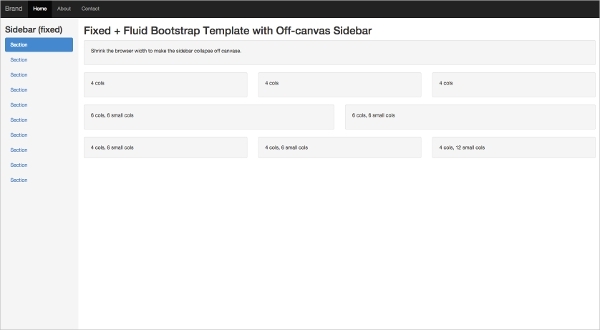 What is Bootstrap Editor Software? The software contains a simple text editor which can be used to edit and make changes in the HTML or CSS code.Bootstrap Editor Software tools are used by most of the designers to build websites with a good user interface and attractive look. Use any of the above-mentioned software tools to edit, modify, build and test your websites. Creating websites have become an easy task due to the various bootstrap editor tools that are available today.